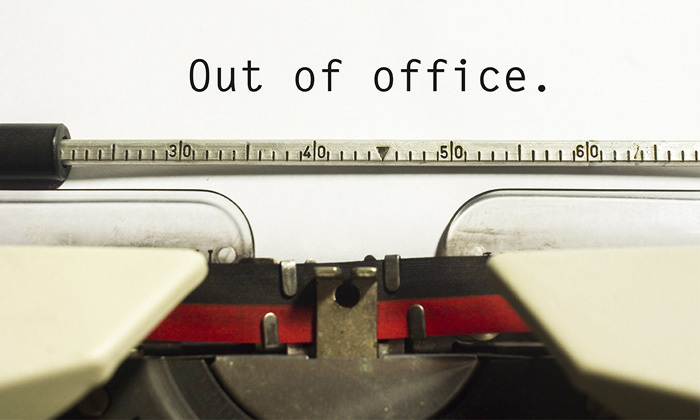 Employees who have built up their annual leave allowance might need a reminder from HR to actually take it, after a new survey revealed 75% of staff aren’t using all their holiday time. In fact, the average US employee only takes half (51%) of their eligible time off – and even when they do, 61% admit to still doing work while they’re on holiday. The Glassdoor Employment Confidence Survey – which monitors four pillars of employment confidence including job security, salary expectation, the job market and company outlook – also looked at employee vacation time this year, such as how much time off staff actually take and how often they work while on leave, to get a wider view of employment trends. Of staff who do receive vacation time (unlike many other countries, the US does not currently require employers to grant paid time off) 85% said they took at least some time off over the past year, while 15% didn’t take any at all. 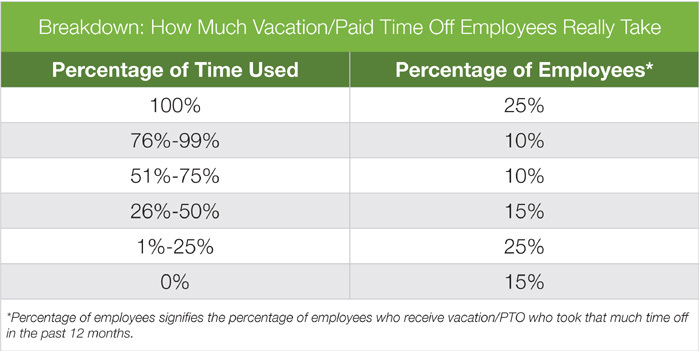 One in four employees took 25% or less of their time off, and only 25% said they took all of their holiday leave. Of those employees who also work while they’re on holiday, the majority (33%) say they feel the need to do so because “no one else at my company can do the work”. This most common reason is followed by a fear of getting behind while on leave (28%), having complete dedication to the company (22%), wanting a promotion (19%) and feeling like they can’t afford to be disconnected from work (19%). Additionally, 11% of employees admit they use their paid vacation time to search for another job – and staff in the 18-34 age bracket are doing this more frequently than anyone else. Beyond an annual raise (65%) and major medical insurance (60%), among top items on a Millennials' benefits list is an annual promo..